Metal Storm Limited is a research and development company that specializes in electronically initiated stacked projectile weapons technology. Metal Storm is both the name of the company and the technology. The company is based in Brisbane, Australia with a subsidiary in Washington DC, U.S.A. Metal Storm owns the proprietary rights to the electronic ballistics technology invented by J. Mike O'Dwyer. The VLe, a variable-lethality weapon with no moving parts (except for the projectiles) has been introduced by Metal Storm. 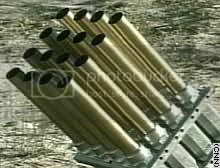 Metal Storm technology is an electronically initiated, stacked projectile system that removes the mechanisms required to fire a conventional weapon. Effectively, the only parts that move in Metal Storm’s technology are the projectiles contained within the barrels. Multiple projectiles are stacked in a barrel. 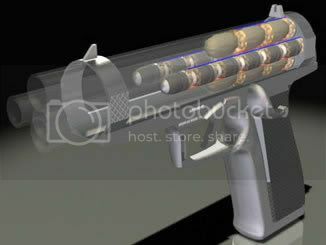 The technology allows each projectile to be fired sequentially from the barrel. Metal Storm’s fully loaded barrel tubes are essentially serviceable weapons, without the traditional ammunition feed or ejection system, breech opening or any other moving parts. Metal Storm barrels can be effectively grouped in multiple configurations to meet a diversity of applications. Metal Storm technology is ideally suited to the new generation of ‘network centric’ weapons that are designed to connect with today’s battlefield. Importantly, Metal Storm enabled systems are capable of local or remote operation through a computerized fire control system. Our technology achieves its performance through the concept of numerous projectiles stacked in a barrel, in which each projectile has its own propellant load, such that the leading propellant can be reliably ignited to fire the projectile, without the resulting high pressure and temperature causing unplanned blow-by ignition of the following propellant load, and without collapse of the projectile column in the barrel. - fast second round strike capability before recoil effect.